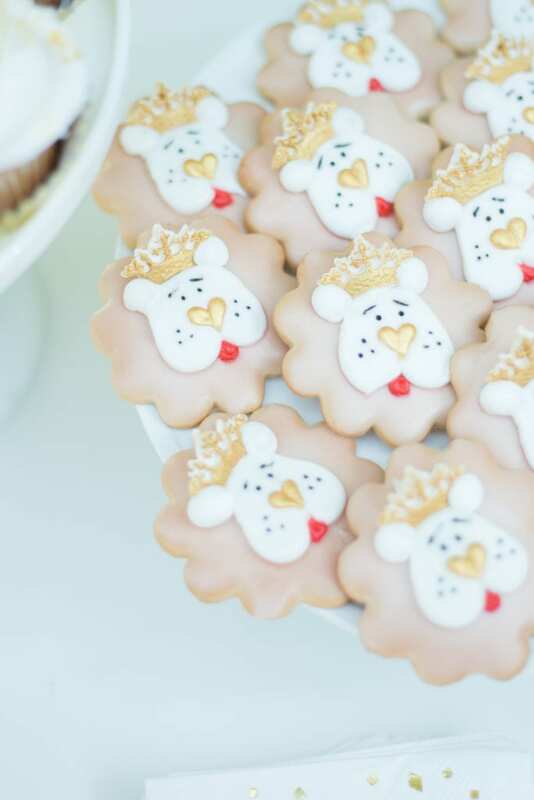 A new year means taking stock of events to plan, and for many of us, that may include planning a baby shower for a close friend or family member. 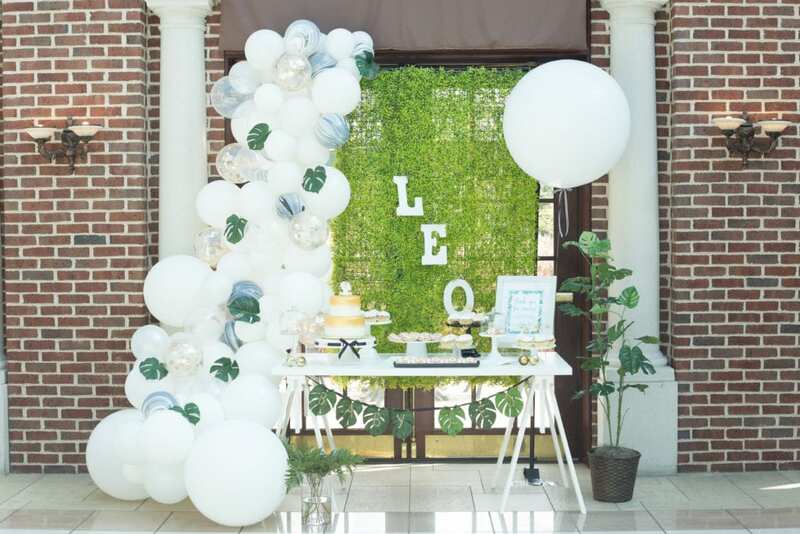 To that end, we’re thrilled to share this “King of the Jungle” themed baby shower by Christina Christian of NOV by Christina. Christina specializes in designing innovative and upscale custom events and entertaining concepts in the Cincinnati area. Christina shares that she was born in Kentucky, but raised in Cincinnati, so “all things Midwest in lifestyle + entertaining were major in my family.” As a young girl, Christina helped her mother plan, decorate, and host social gatherings. Baby showers are my FAV! It was only appropriate that when asked to style a “King of the Jungle” themed baby shower sweets table that I added a little chic touch. Of course the most desired sweets in my household are cake, cookies and cupcakes, so this shower covered it all. 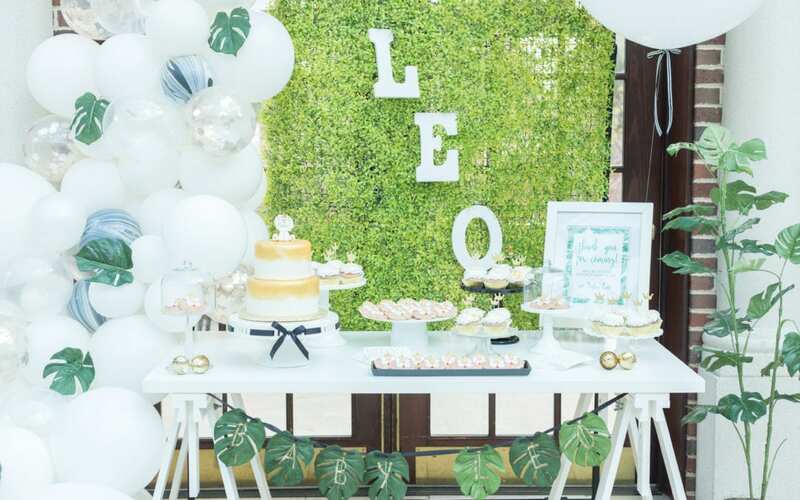 This sweets table incorporates many flavorful local desserts and simple “Jungle” décor. The half balloon arch made by Go-N-Play, in a variety of “Jungle” colors with added floral palm leaves fit perfectly with the other décor. 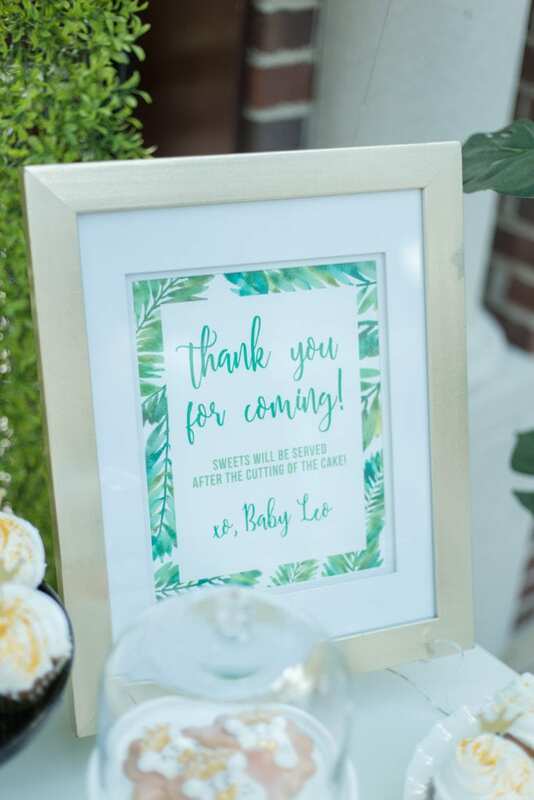 In addition, custom items such as the stationary and banner from Bethany Lane were hand created (this took a bit of time, but was well worth it!). The décor along with the paper accessories compliment the tasty sweets. Yes, the desserts of course had “King of the Jungle” written all over them. The table includes a handful of cookies and cupcakes all coordinating with the tables theme. PLUS an amazing cake! 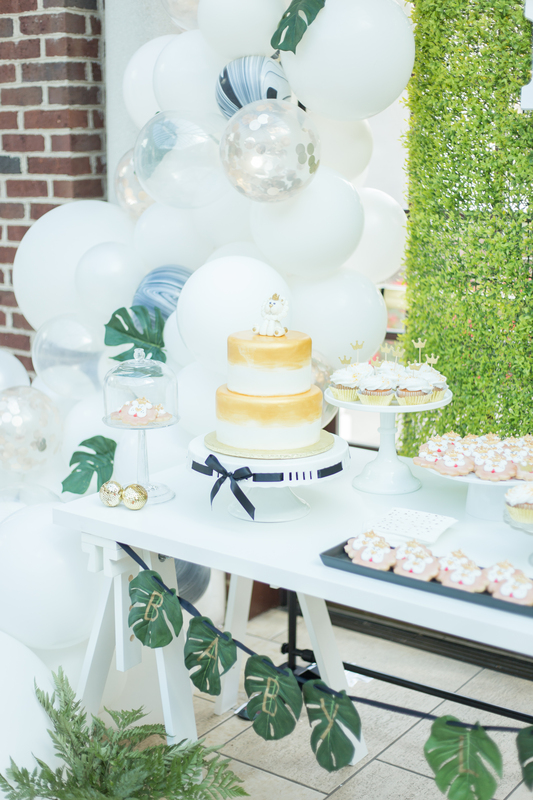 When styled with the custom décor, this sweets table is FULL OUT inspiration for your next baby shower. 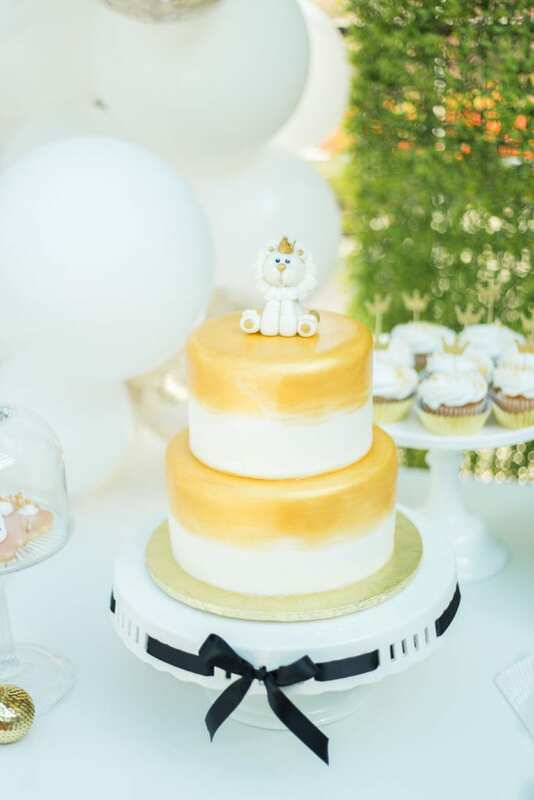 Thanks you Christina for sharing this baby shower inspiration with us!